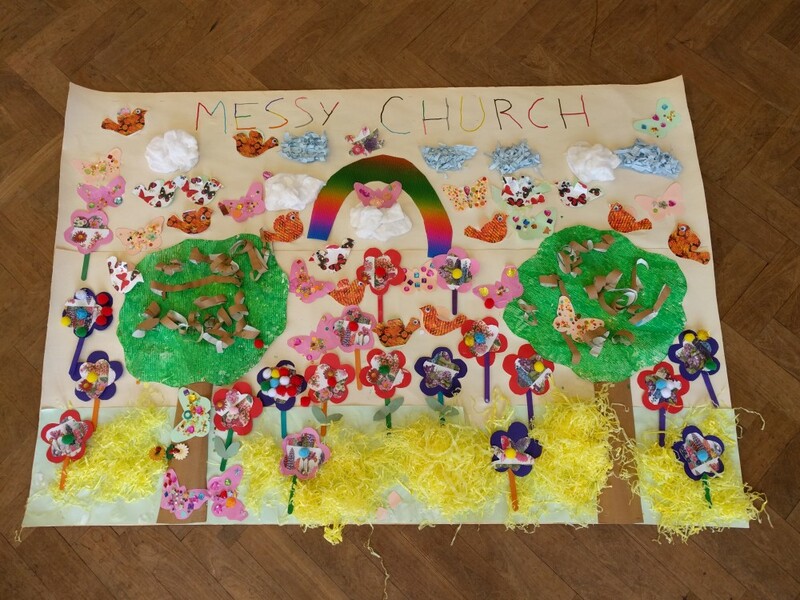 FAMILIES, FUN and FOOD are the main ingredients of our MESSY CHURCH! We usually meet once a month at our Queens Road Centre. Adults meet their children from school then arrive soon after 3.30pm. We begin with table-top games and activities plus drinks and biscuits, before setting off to discover the many crafts on offer. Some are VERY messy, others are quite relaxing - especially for the adults! We spend time together in church to explore the theme for the day - often a bible story - and share singing and praying together too. This is followed by a cooked tea, and then families make their way home well fed and happy! Come and join us. All ages welcome -and the sessions are particularly suited for primary aged children. Please see our calendar for more Messy Church dates and other events, or take a look at our 'Family and Youth' page for other similar events.